At long last here are a few photos from our trip to Canada. I’ve wanted to visit PEI since I was a child, and many (many!) years later the dream finally came true. 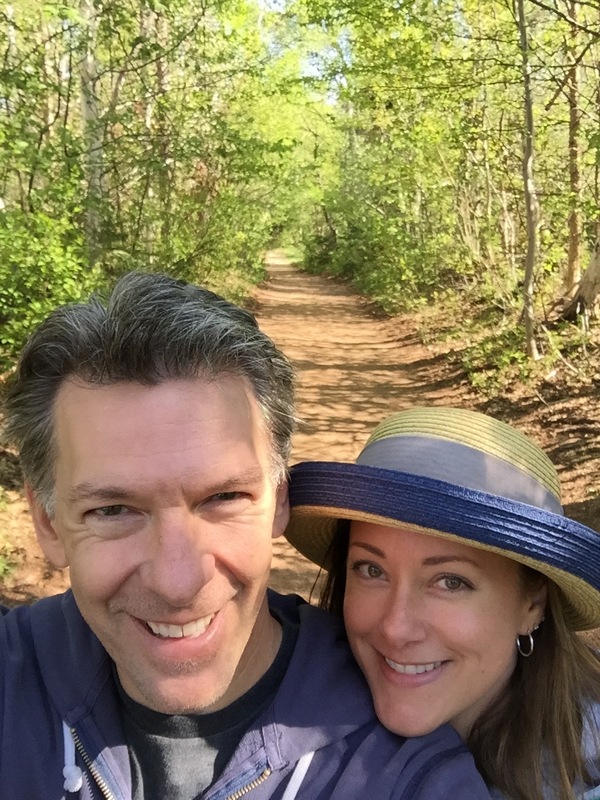 We enjoyed one day in Halifax before driving up to the island. Everywhere we went the locals were unfailingly friendly and helpful. Best of all, we were a little ahead of the tourist season, so we didn’t have to fight crowds at all. Beach walks! 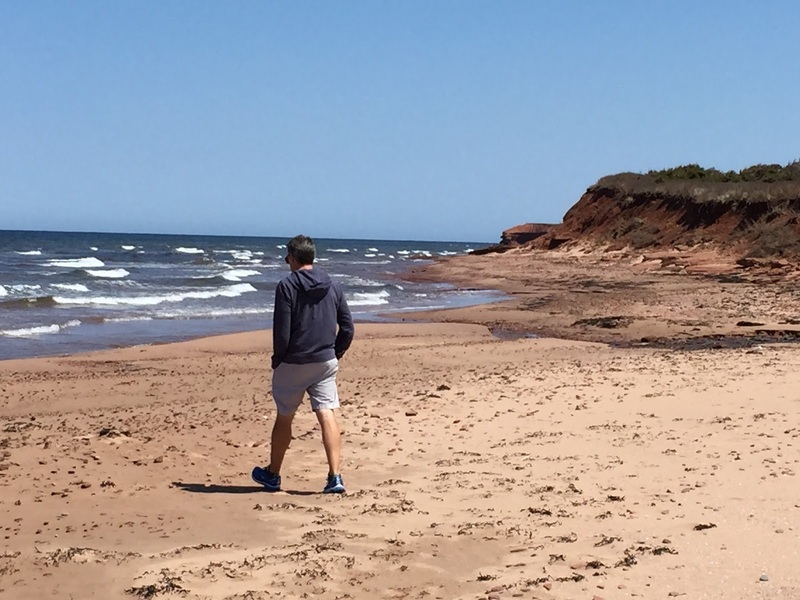 This is Cavendish beach — L.M. Montgomery herself must have walked here, right? I took this photo on a cool, windy day, but even later on a hot day, the water was ice-cold. (I could only manage up to my ankles — how do people throw their whole bodies into that?) We enjoyed watching the Cormorants (I think) swoop down from the red cliffs. When they fly overhead they seem quite intimidating, almost like small dragons. 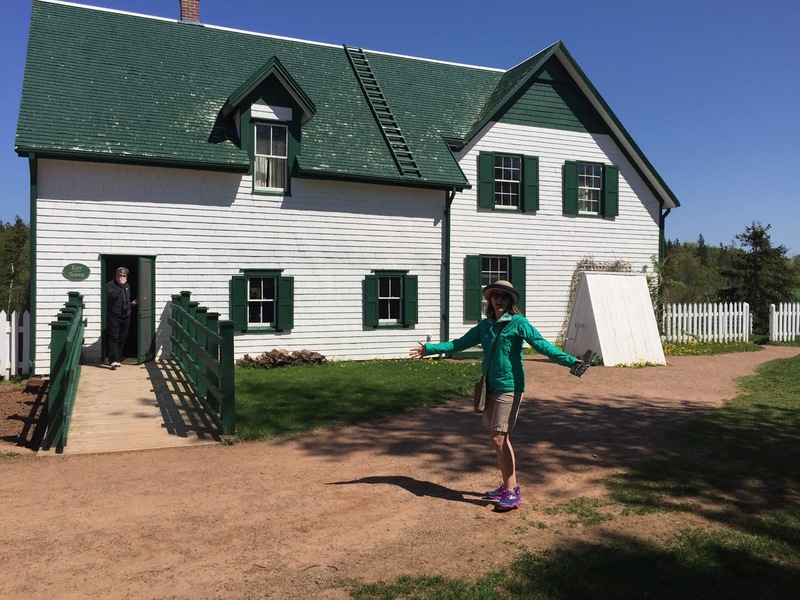 Green Gables has become famous around the world as the inspiration for the setting in Lucy Maud Montgomery’s Anne of Green Gables. In real life, this farm was the home of David Jr. and his sister Margaret, cousin’s of Montgomery’s grandfather. Although Montgomery never lived at Green Gables, she came to know her cousin’s farm through her explorations of the surrounding woodlands. Uncle John’s grandson, John, still lives on the family property with his wife Jennie Moore Macneill, a retired teacher. John’s father, Ernest, was LMM’s 1st cousin, “A letter from Myrtle came today, saying Ern Macneill’s wife had a son. So perhaps the old place may remain in the Macneill name yet. I hope so anyway” (Selected Journals of L.M. Montgomery, Vol 4. p. 63). Lighthouses! This is Pt. 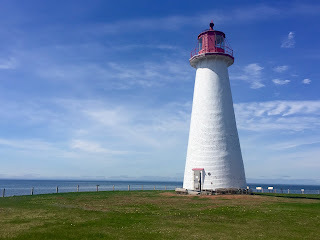 Prim lighthouse, the oldest on PEI and the only one we were able to climb to the top. We saw many pretty lighthouses along the way, but this was my favorite. Delicious seafood! 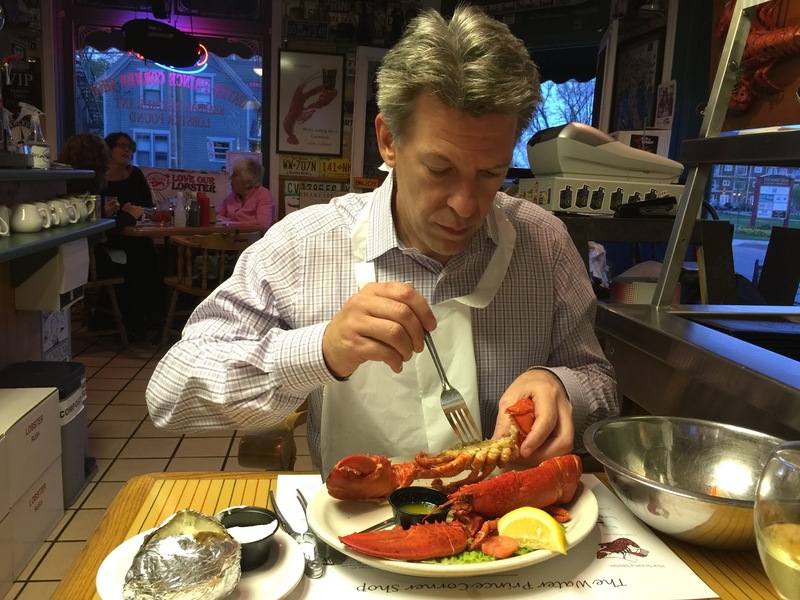 I’m pretty sure Steve ate lobster for every evening meal while we were on PEI. I’ve never been a fan of this particular crustacean, but I have to admit that the bits he shared with me were fresh and tasty (almost like sweet corn?). We also enjoyed fresh salmon, mussels, crab, and haddock. I have many more pictures from the trip. If you’d like to see them, please check out my Flickr album. I winnowed the collection down to 33 photos so as not to bore you with endless shots of birch trees! This entry was posted in Reading, Traveling and tagged friday favorites, L. M. Montgomery, PEI, photos, travel on June 12, 2015 by SoniaG. Oh, the covers for this month are delightful! I chose my favorite L.M. Montgomery cover art as a gift for you, dear reader. 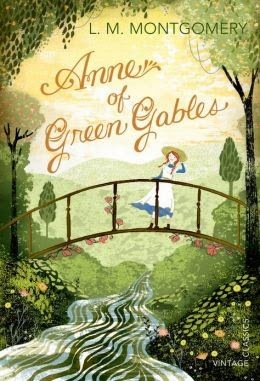 Anne of Green Gables (love this cover from the Nook edition) — this re-read launched my pre-PEI celebration of Lucy Maud Montgomery. It goes without saying that I adore Anne, and during this reading I got so tickled with some of her melodramatic sayings (“The iron has entered into my soul” or “You harrow up my very soul” — I really need to use these in conversation). After finishing the book I watched the TV adaptation, which was wonderful as ever, but I had to stop before the sad Matthew part because I didn’t think my heart could take it. 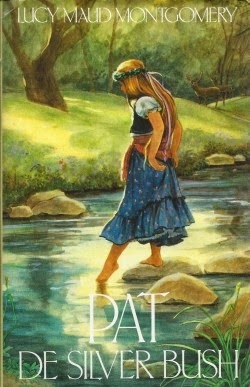 Pat of Silver Bush (the link takes you to the Sourcebooks edition, but the cover featured above is from a French edition) — I’m pretty sure the Pat books were my mom’s favorites growing up, and I always think of her when I read them. They are probably the least dramatic of LMM’s stories, but they are so warm and cozy to read. 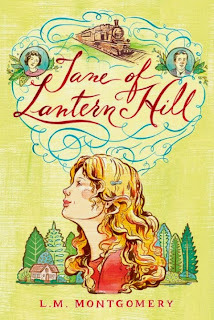 In case you missed it, follow the link for my thoughts on Jane of Lantern Hill (in short, WONDERFUL). 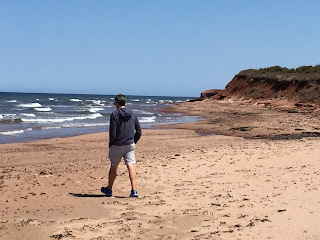 Stay tuned for my Prince Edward Island recap — coming soon! 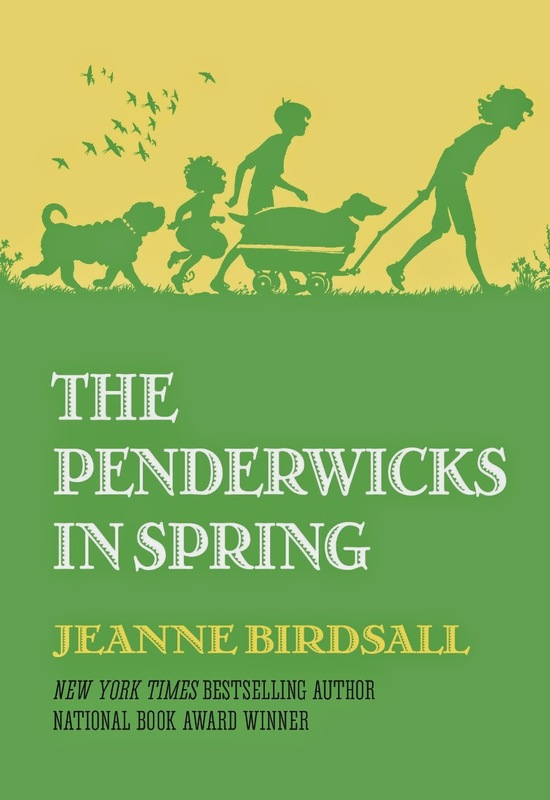 This entry was posted in Reading and tagged L. M. Montgomery, reading on May 26, 2015 by SoniaG. Recently, after giving up on another book (something I hate to do, but it was necessary for my sanity), I turned to my TBR shelf for inspiration. 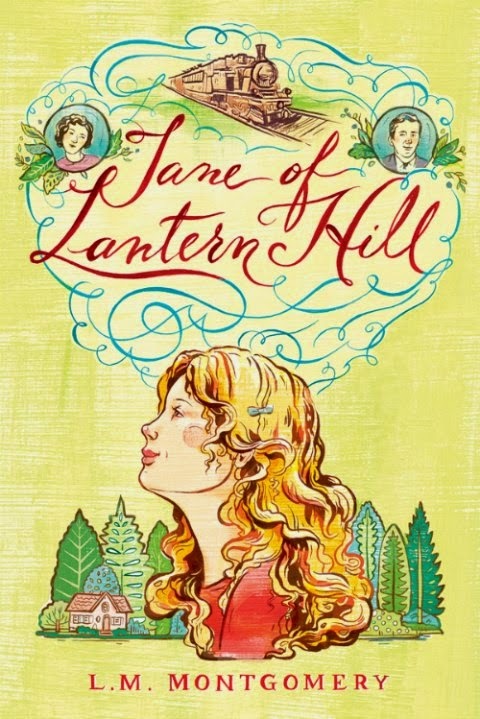 And there I found the lovely new edition of Jane of Lantern Hill I’d purchased at Reading Rock Books in Dickson, TN, when visiting my friend, Michelle. I started reading, certain I’d remember the plot of the book. After all, I had the mass market paperback on my shelf upstairs–which meant I’d read it before, right? Wrong. The story seemed entirely new to me. I suppose I might have read the first couple of chapters long ago, but for whatever reason I never continued with it. This reading was an absolute pleasure. No way was I putting the book down! The trials and joys of quirky, lovable, and feisty Jane gripped me until the very end. I put Jane down with a happy sigh, but I wasn’t quite ready to leave Maud. I started Lucy Maud Montgomery: The Gift of Wings, which is impressing upon me that LMM was very clever and ambitious. (I think if I could have met her in person, I would have been very intimidated. She, on the other hand, would likely have been bored.) Maud’s brilliance, productivity, and constant pushing of the boundaries for “proper” womanhood and wifehood (why didn’t I know her husband was a minister?) are so fascinating to me, especially in the light of her continual struggles with depression. Such a fascinating lady. In addition to the biography I also ordered the Annotated Anne of Green Gables to study and enjoy before . . . wait for it . . .my birthday trip to Prince Edward Island in May. Hooray! Do you have a favorite L.M. Montgomery novel? Favorite heroine? Have you read other books that remind you of Montgomery’s style? Do share! *Full disclosure: I haven’t read all the Anne books. For some reason I lost interest once Anne married and had a family. I should go back and try again, right? **This cover might be even nicer. Virago has such fabulous cover art! This entry was posted in Reading and tagged friday favorites, L. M. Montgomery, reading on February 13, 2015 by SoniaG.